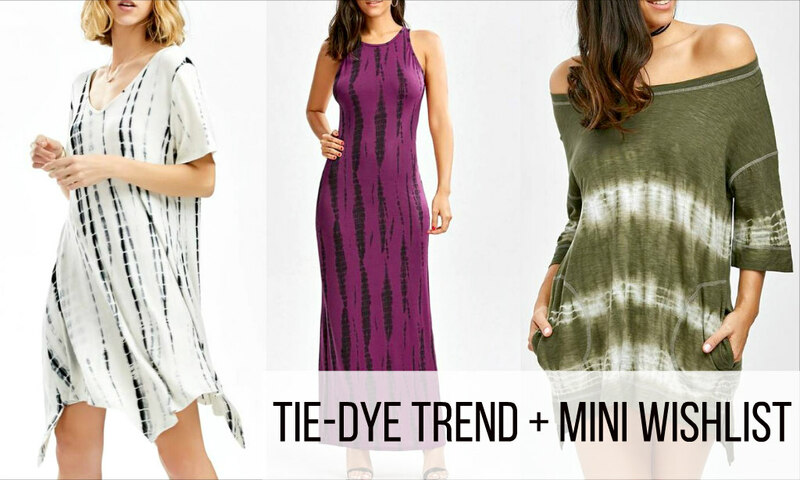 Style | Women's Tie-Dye Dress Trend + Mini Wishlist! I'm loving the women's tie-dye dress trend for summer! Tie-dye prints are so free-spirited and boho! I am crushing on all the tie-dye dresses I've been seeing lately. I want to buy one (or two) for our upcoming vacation! Above is my mini wishlist of the tie-dye items that I want right now! I will have them linked below if you're interested! Are you loving the tie-dye print trend? I love that purple dress! That shape doesn't look good on me, but I love the cut and colors!